According to a U.S health report printed in 2006, one in every four adult Americans suffers daylong pain. Most of these people said they suffered low back and joint pain accompanied by stiffness. When joint pain strikes, it can cause discomfort and alter your daily life. The arthritis joint pain foods can help you fight inflammation and the pain involved in your joints. They may not heal the joints or stop the condition that cause the pain but rather work in way to arrest and manage the pain. Before there was clinical medicines to deal with joint pain, ginger existed. Ginger is one food that is proven to act against inflammation that causes joint pain. The good side of ginger is that it is a spice which improves the flavor of food and can be taken in varied ways. From beverages to soups and curries, you will always find a way to incorporate ginger in your meals. A study conducted at Michigan State University revealed that cherries contain a strong anti-inflammatory compound called anthocyanin. This compound will work well on the inflammation on your joints hence easing the pain that comes along with it. Take them whole or in form of juice and you will realize a remarkable change in the pain in your joints. Research shows that caffeine in coffee has its own joint pain fighting power as well as improving the effects of other popular pain relievers. It has also been observed to reduce significantly quadriceps pain after intensive exercise. The intake should be a maximum of 200 mg a day for effectiveness. Mint has a cooling effect compound, non-toxic and effective for pain relieving when applied in small amount on skin. When applied on a painful joint, it activates the receptor TRPM8 which inhibits transmission of pain reception to the brain thus killing the pain. Mint is ideal for patients with chronic pain whom pain killers never work. Research has shown that the broth of cooked black beans contains anti-inflammatory properties that help in reduction of the tearing pain of the joints. 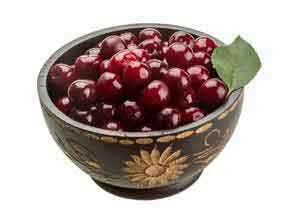 The anthocyanins also found in cherry juice and red wine is an active ingredient that gives fruits and legumes the dark reddish-purple color. It creates a good way to identify the foods that fight inflammation. Salmon contains healthy fatty acids known as omega-3. Processed food and vegetable oil that is available in everyday diet contain omega-6 fatty acids which cause inflammation in joints to flare up. Including salmon in your diet which has been cooked in a healthy way (boiled or baked) will supply you with the required fatty acids that will work to decrease inflammation hence reliving pain. Sage has been used over the years by ancient Egyptians, Greek and Chinese to relief no only pain joints but also cure many infections. Tea made of Sage leaves forms very useful medicine that acts on the pain in the joints, reducing tension in muscles and fortifying the nervous system. Eating frozen Edamame is not only good source for providing of nutrients but also enhance the intake of healthy fats i.e. Omega-3s. The fats maintain a healthy body and research has shown improvement in patients with joint pain. They contain an active component called capsaicin which makes them spicy. When applied on an achy joint, capsaicin works by inhibiting receptors from sending pain signals to the brain. Using a cream three times a day for two weeks will see you realize some changes. Creams target the affected joint unlike pills or injections. There are many over the counter creams that have capsaicin. Most nuts contain vitamin E, calcium and fibre. These are known to fight inflammation. Nuts like almonds are essential in Mediterranean diet which is known to curb inflammation in just weeks. Consider incorporating different types of nuts in your diet for you to reap the full benefits. Pumpkin seeds are rich in omega-3 fatty acids. These fatty acids are not a cure for joint pain but when taken, they lower the intensity of joint pain. It does not happen suddenly but after a period of time you will realize the results. You can take roasted pumpkin seeds as a snack in between meals. People who do not eat fish which is the major source of omega-3 fatty acids can consider this plant derived version. Turmeric contains curcumin which has anti-inflammatory properties that protects tissues of the body from destruction and joints from inflammation. It is recommended to take turmeric with black pepper. The piperine in it triggers the release of curcumin from turmeric. This small fruit has been cultivated by North Americans for centuries. Research has proved that this wonder juice has the highest effect on rheumatoid arthritis. A bacterium known to cause urinary tract infections is possibly a RA trigger. Cranberry juice inhibits the growth and multiplication of these bacteria. It is a milk product which contains probiotics, calcium and vitamin D. Karen H. Costenbader who is a rheumatoid arthritis doctor and associate professor at Harvard Medical School says that, “besides their anti-inflammatory abilities, people should get enough of vitamin D and calcium for bone health and reduction of other health related risks”. Papaya contains an enzyme called papain. This enzyme has anti-inflammatory properties and when consumed, a painful joint is relieved. Tahini is a spread made from sesame seeds. The high content of magnesium, which is a natural muscle relaxer, makes ideal for joint pain. Many people do not get enough magnesium in their diet. Instead of the fatty spreads you use on your toast, you can change to tahini which will help in your joint pain. Apart from magnesium, the spread contains other minerals like copper and zinc which help in anti-inflammatory and antioxidant processes. Cayenne has a chemical agent capsaicin that acts as analgesic on joints. The ability of capsaicin to suppress pain in joints is because of its effect on substance p, a chemical released by the body when there is tissue damage and in response pain is experienced. With long term release of capsaicin, it has been observed that substance P is reduced drastically diminishing the pain response on joints. Green tea contains powerful anti-oxidants which are useful to people with joint pain. In comparison to regular black tea, green tea may look weak. However, it contains a naturally occurring antioxidant which works by inhibiting inflammatory chemicals. Other compounds found in it called catechins are also able to prevent the breakdown of cartilage. Even de-caffeinated green tea contains this anti-oxidant for them that avoid caffeine. 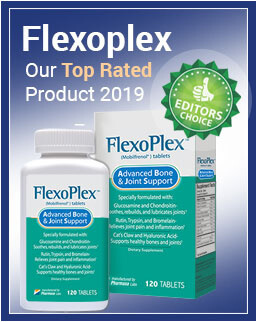 Flax oil derived from flaxseeds contain a type of omega-3 fatty acids which maintain the structure and health of joints. These fatty acids are well known for their anti-inflammatory properties that can be beneficial to your painful joints. Flax seeds should be made into meal before they are eaten. Olive oil is known to contain polyphenols. These compounds act in a way that suppresses inflammation in a similar way to ibuprofen. People who live on Mediterranean diet which is rich in olive oil have less joint disorders like osteoarthritis. Make it your kitchen companion and your joints will reap the benefits of this wonder oil. A type of omega-3 fatty acids known as alpha-linolenic acid is present in walnuts. These fatty acids are known to fight and reverse inflammation in joints. Like all nuts, walnuts also contain useful anti-oxidants. It is essential to include them in the diet to alleviate joint pain caused by inflammation. This is an American wild herb known for its ability to control pain and inflammation. It has also been proven to check joint stiffness that is associated with arthritis. The medicinal properties are found in the seeds of this plant. It can be a good remedy for our joint pain without the worry of the side effects associated with clinical drugs. Whether severe or mild, joint pain can be managed. Many foods that we eat act against pain relief there by causing you to live with heightened pain. It is a matter of choice on what you place on your plate that will make the difference. Choosing to eat healthy foods that fight joint pain is essential as you walk the road towards pain free joints.